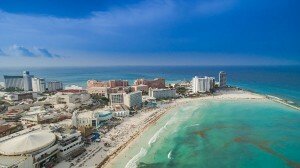 Located in the Mexican state of Quintana Roo, Cancun is the tourist pearl of Mexico. This is one of the most famous Mexican cities in the world for its festivals and various events. Cancun is famous for its nightclubs, its exuberant parties and concerts in its posh clubs. If you plan to spend your next vacation in Cancun, here is a foretaste of what awaits you. 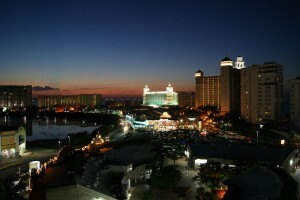 Frenzied city evenings with the rhythm of music in a highly American atmosphere, Cancun is famous for its nightlife. Its discos and clubs offer a break from the routine and absolute leisure for tourists. They have a wide choice of activities to do at night. To gather some ideas for activities during your stay, click here. Several party scenes can be found for visitors to Cancun with music from jazz to disco, as well as Latin. For example, you can start the evening with a drink in the hotel lobby with its distinguished atmosphere and then continue the night dancing until dawn clubbing. Coco Bongo has a nightclub atmosphere with a showplace and rhythm for concerts where international artists perform. It is a reference point during your vacation in Cancun. Mandala: where privileged youth like to go-it is known for its strong drinks and great dance floor. The City Nightclub, which is opened only on Friday, is considered the largest in Latin America nightclub. It is also popular for its special offers at its open bar and the 3-story dance floor. Mandala Beach and the evenings at the pool. Get dressed in your best swimsuit and get ready, a DJ will make you dance all night. 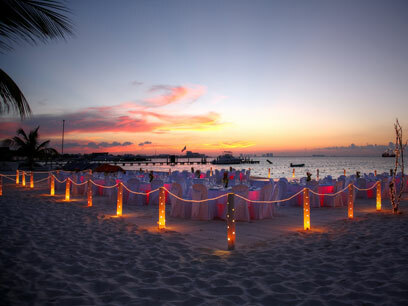 For your nights out in Cancun, make sure to set aside a greater or lesser budget because all party venues have a cover. Although the city’s activities are expensive, the places are well worth visiting. What else to see in Cancun? Chichén Itzá :a Mayan city that is highly popular with tourists. Coba : a Mayan archaeological site that has to reveal all of its secrets. Tulum : located in front of the Caribbean Sea, this Mayan archaeological site is famous for its great wall, 3 meters high and 7 meters thick. Ek Balam: which means “black jaguar” in the Yucatecan language is a Mayan site known for its amazing structures (45 released since 1994). Uxmal : the most fertile peninsula and largest of Yucatan, it is the victim, however, of a continuous lack of water. The city of Uxmal, however, has nothing to envy to other Mayan cities, it truly is grandeur. In addition to the archaeological sites, there are also some islands to discover. These include Isla Contoy and its natural park, Isla Mujeres and its crafts, and finally Cozumel that is ideal for scuba diving. Access to Akumal costs! The End of Swimming with TurtlesIs There Seaweed in the Riviera Maya? No More Sargassum!